The Hostel is wonderful! Room was good, clean and with enough room. The structure is very nice, it's easy to meet other travellers and the staff organizes common dinner in a familiar atmosphere. 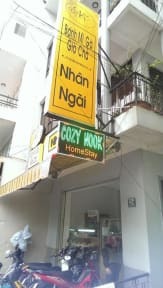 a must go if you're going to Dalat! They made a bus reservation for me and helped with all my needs.